As noted above, the most common reason for borrowing is the need to finance a large scale repair or renovation. Common projects of this magnitude include roof repair or replacement, pipe repair or coating, and street resurfacing. In the absence of adequately funded reserve accounts, Associations opt to borrow the money needed to fund the projects instead of levying what can be a substantial and unfeasible special assessment on its members. Borrowing the funds and allowing the membership to pay them back over time is often the only practical solution. Associations may also seek lending for the purchase of additional real estate, land leases, or equipment, or to make capital improvements in the community. What Does the Bank Use for Collateral? Generally, an association cannot pledge real property against a loan. So what sort of collateral does the bank generally use when lending to associations? The answer is assessments and other accounts receivable. In exchange for the loan, an association assigns its rights to collect regular, special and other assessments, along with rights to collect other accounts receivable to the bank. Under limited circumstances, such as where the purpose of the loan is to acquire additional real estate, the bank may request a mortgage on the additional property. Personal guarantees by a board member or liens against an individual unit are not used to secure an Association loan. Individual unit owners will not be directly obligated under the loan. The existence of the loan will therefore not affect the subsequent sale or purchase of the unit. Additionally, the loan will not be reported on an individual unit owner’s credit report or otherwise affect their credit. The most notable and common effect on the individual unit owners is a change to the amount of monthly or annual dues. As the Association will be responsible for making regular loan payments, it is often necessary to raise monthly assessments or to levy a series of special assessments to cover the cost of the loan payment. Associations must therefore understand what statutory limitations exist on their ability to raise assessments and how those limitations will ultimately affect their payment strategy. What Percent of a Project Will Banks Finance? Banks are often willing to fund the entire cost of a repair, reconstruction or capital improvement project. However, if an Association has sufficient reserves to fund a portion of the project, securing 100% funding may not be appropriate. The structure of the loan often depends on the type and length of the proposed project. Generally, the bank offers a line of credit which an association can draw on over the period of the repairs or improvement. Under some circumstances, an association will provide invoices during this period to receive advances from the credit line. At the completion of the project, the portion of the credit line actually used by the association will be converted into a more traditional loan with an amortizing period causing principal and interest payments. Typically, the amortizing periods are less than ten years. 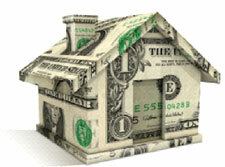 In order to obtain a loan, an association must first meet various qualifications. Although some points are non-negotiable, banks are generally willing to work with an association to overcome obstacles in the qualification process. Among the most common qualifications are 1) the community’s developer may not be in voting control of the association’s board or have ownership of more than 10% of annual budget, 2) the individual unit owner delinquency rate cannot exceed 10% of the total number of units being past due more than 60 days, 3) the development must be more than approximately 15 units, 4) absentee owners should not exceed 40% of the community, 5) no one unit owner should own more than 10% of the total number of units, and 6) proposed budget increases by the Association should not exceed 100%. Prior to the completion of a loan application, associations should ensure that their governing documents and state law permit the association to take such action. Often, associations are required to hold a vote of the membership or adopt an amendment to the association’s governing documents. After measures have been taken to ensure compliance, and the loan application has been transmitted to the bank, the loan approval process can move very quickly. In order to avoid unnecessary delay, association board members should contact legal counsel at the beginning of the loan process. Upon approval from counsel and all parties involved, the loan will close quickly. Thereafter, the Association may immediately submit requests for advances to obtain necessary funds. Loans to Associations generally do not include prepayment penalties. Accordingly, if an association’s reserves are sufficient, it may wish to pay off a portion of the debt early. In addition to avoiding substantial amounts of long term interest, by reducing the amount of the debt, an Association may be able to reset the amount of the monthly payment and thereafter reduce the assessments imposed on owners. Loans can be a useful tool to implement necessary repairs or large scale renovations when an association’s reserves are low. In exchange for a pledge of the association’s future assessments, the association may acquire the necessary funds to take immediate action and prevent unnecessary additional damage to the development. The impact on the individual unit owners is minimal beyond potential increases in assessments, and the ability to make pre-payments provides the association with the opportunity to eventually reduce loan payments and assessments. Accordingly, a loan may be an attractive option for associations aware of approaching repair or renovation deadlines. This information can also be found in our new resource entitled “Association Repair and Renovation Loans”, available for download from our library.